Skye Gravestones | Donald & Mary (Clark) MacInnes. Donald & Mary (Clark) MacInnes. 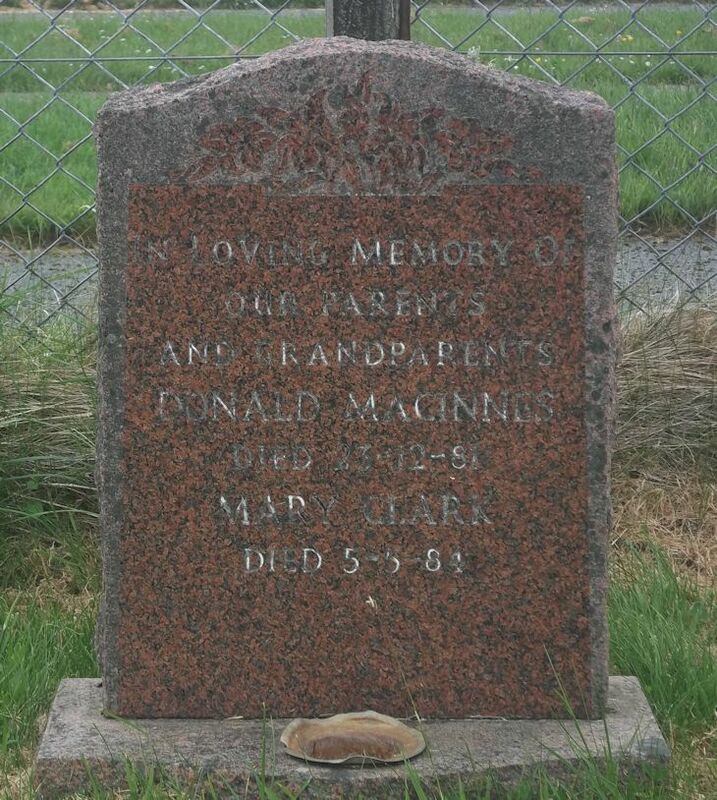 In loving memory/of our parents/and grandparents/DONALD MacINNES/died 23-12-81/MARY CLARK/died 5-5-84.